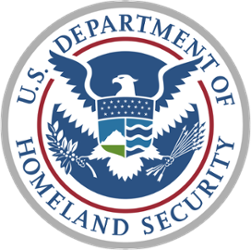 The University of Houston’s educational and research programs in cybersecurity and cyber defense have been recognized by the National Security Agency and the Department of Homeland Security. Why get a Master’s degree in Information System Security? As the cyber security threat landscape evolves, so do the roles that security professionals play. Chief security officers (CSOs) and chief information security officers (CISOs) are seeing the scope of their responsibilities expand. Other professionals, such as security analysts and engineers, are finding they need to know more about working with other groups within their organizations. Newer roles such as malware analyst and incident responder are emerging to better combat threats. The common thread across all of these challenges is an expanded set of knowledge and skills. A recent survey by ISACA concluded that 46 percent of the security professionals surveyed indicated a technical skills gap as a major concern. Taking random classes without a clear plan is a terrible idea. If you understand the organization's risk profile then a professional master’s degree program allows you to develop the missing skills within the context envelope of your organizational needs. The Master of Science (MS) in Information System Security is a two year program designed specifically to prepare individuals with undergraduate degrees in technology disciplines for responsible leadership roles in the technology-based and information-based workplaces. The Master of Science in Information System Security degree equips technology professionals to assess the security needs of information and network systems and then to manage the implementation and maintenance of the recommended security solutions. Cr. 3. (3-0). Overview of contemporary information systems security issues for technology professionals from an applied perspective; search current syllabus. Cr. 3. (3-1). Enterprise security administration for technology professionals through server operating systems architecture and configuration; hands-on experience with UNIX and Windows operating systems; search current syllabus. Cr. 3. (3-1). Practical issues in cryptography, including examples of current historical cryptography systems; major types of cryptosystems and cryptanalytic techniques, and how they operate; hands-on experience with current cryptographic technology; search current syllabus. Cr. 3. (3-0). This course focuses on the organizational issues of risk analysis in the legal context of the Internet. Organizational problems involving reliability, safety, security, privacy, and human well-being are addressed; search current syllabus. Cr. 3. (3-0). Explores the realm of digital forensics, including media analysis, data reconstruction, network forensics and the legal issues surrounding the use of forensic data; search current syllabus. Cr. 3. (3-0). Advanced digital forensics processes and procedures, e-discovery, media analysis, data reconstruction, reporting and legal issues surrounding digital data in criminal and civil litigation; search current syllabus. Cr. 3. (3-0). An exploration of security functionality for control systems and networks. This hands-on course examines threats, vulnerabilities and appropriate security responses to protect critical infrastructure components; search current syllabus. Cr. 3. (3-0). Examines the management of software engineering process with an emphasis on security, including common bugs and tools to prevent them in a secure development process; search current syllabus. Cr. 3. (3-0). Application of tools, techniques, and procedures to perform penetration testing on networks and applications; search current syllabus. Cr. 3. (3-0). Information Systems Security internship in a public or private organization. May be repeated for credit; search current syllabus.